An example of a drone spotted over the area of a potential new Harrogate road in the Bilton to Forest Lane Head area. 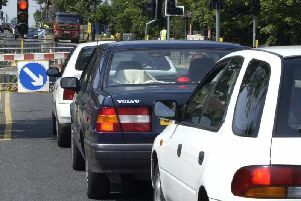 Just days before the launch of public consultation into possible traffic congestion measures for Harrogate, the waters have been muddied by a letter advising residents about their homes being subject to compulsory purchase orders. With a drone also spotted 50 metres in the air in Harrogate last Monday taking a bird’s eye view of a potential route for a possible new road which the county council admits is their’s, the debate over traffic congestion is heating up before it’s even begun. Neither matter is helpful to the county councillor most associated with the whole, lengthy process which has already seen two separate Harrogate Congestion Study reports prepareds by international consultants WSP. Coun Don Mackenzie, the council’s executive member for access said: “My first reaction to the letter is frankly one of disbelief that a reputable estate agent and valuer would send such a letter, which is intended as a piece of marketing, but is likely to cause alarm to some recipients. 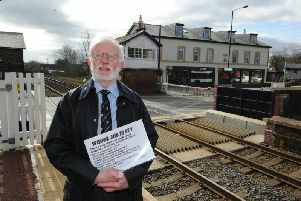 The chair of Nidd Gorge Community Action, one of the residents groups opposed to any relief road near Nidd Gorge, an idea already rejected by Harrogate and Knaresborough MP Andrew Jones and most of Harrogate Borough Council, said he was taking the letter from the Leeds branch of Carter Jonas with a pinch of salt. But he remained worried about the general direction of the traffic congestion process. But Carter Jonas said it was only doing the sensible thing with its letter. David Vernon, Partner, Carter Jonas in Leeds, said: “We are sorry if our letter has caused any alarm, as it was certainly not our intention. "We believe that this is the time for all potentially affected parties to engage on such an important issue for the region. “As is typical at this stage of an infrastructure project, be it road, rail, or energy project, across the UK, we provide advice on the Option Selection and Compulsory Purchase process and wanted to offer our services to any residents and businesses that might be affected, in order to guide them through what is a difficult and complicated process.